Small and mid-size businesses face unique challenges in maintaining a stable IT environment that gives them a competitive edge. Generally, SMBs have less time to research, design, or implement possible solutions – and they are more sensitive to business disruptions, data loss, and budget constraints. Virtualization is often overlooked as too advanced or expensive, but in reality, it is an affordable technology with marked advantages in efficiency, disaster recovery, and business continuity. 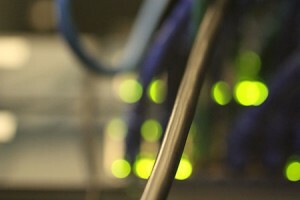 Virtualization & Server Infrastructure – In the past, organizations had to buy a separate physical server for every unique role. Today, virtualization allows consolidation of multiple physical machines into a single system, simultaneously increasing efficiency and lowering energy and equipment costs. Additionally, virtualiziation offers benefits in more centralized management, disaster recovery, and performance enhancements. Virtualization & Desktops – Many organizations struggle with managing their desktops, or “client computers,” and supporting dozens or even hundreds of individual workstations requires a substantial budget. By moving to a Virtual Desktop Infrastructure (VDI) environment, IT managers can quickly deploy custom desktop images, try new updates and applications without risk, and maintain granular control over security policies. A VDI environment also reduces equipment and energy costs. Let us apply our extensive experience in implementing virtual server and desktop solutions to work for your SMB.